History could be made this weekend. 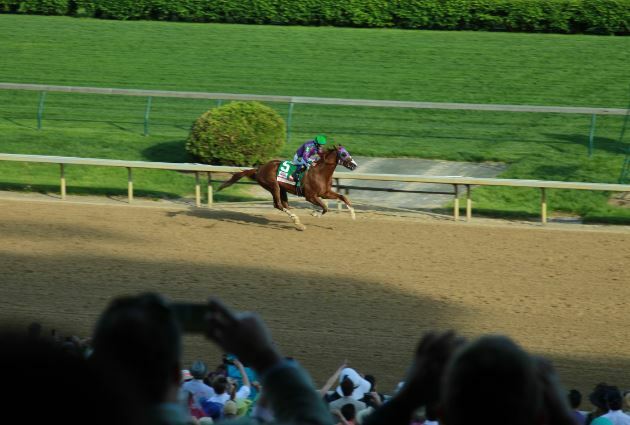 On Saturday, California Chrome will attempt to become the twelfth Triple Crown winner in American horse racing history. It's been 36 years since the last Triple Crown was clinched, but Chrome is already the undisputed best 3-year-old of 2014. A win this weekend would catapult the Chestnut Colt, who comes from a long lineage of race horses and was bred in California, into history. Chrome's trainers, Art and Alan Sherman, (father and son) say the horse is ready. “I have good vibes about it," Art said. “I feel more confident coming into this race than any race I’ve ever won." So what do you need to know to prepare for Saturday's Belmont Stakes? Read on! WHAT DOES IT TAKE TO WIN THE TRIPLE CROWN? The Triple Crown is three races: the Kentucky Derby, the Preakness and the Belmont Stakes. Belmont is notoriously the most challenging race in the Triple Crown. The track is one and a half miles, longer than both the tracks of the Kentucky Derby and Preakness. Belmont is also the race with the most history – it was first raced in 1867. SOUNDS EXHAUSTING. HOW MANY HORSES HAVE WON THE TRIPLE CROWN? It's an exclusive club with only 11 horses with the title over the course of 95 years. Thoroughbred horse racing aficionados say that race horses and their respective training has changed throughout the years, so it’s gotten more difficult to win all three races. Do you think California Chrome will do it? As severe storms pummel the Midwest this week, residents throughout Southern Illinois, Indiana, Ohio, Nebraska, Kentucky and West Virginia are scrambling to protect themselves from the threat and potential havoc of tornadoes and hail. CNN Senior Producer Bill Kirkos reports on what it's been like to battle massive pellets of frozen rain for two businesses in Blair, Nebraska. Jeff Burke is one of the owners of The Viking Family Restaurant in Blair, Nebraska, about 20 minutes north of Omaha. He was inside serving diners Tuesday evening with his daughters when he started hearing the hail hitting his roof and windows. "It sounded like hundreds of small bombs going off," Burke tells CNN. "We were convinced we were being hit by a tornado." While a tornado didn't hit the restaurant, the heavy, grapefruit-sized hail certainly left its mark in Blair. The Woodhouse Ford and Woodhouse Chrysler Dodge and Jeep Dealerships had over 4,000 vehicles parked in their outdoor lots. Many of those cars are now riddled with four-inch wide dents. Windows were completely shattered, causing pools of water to build inside the cars, pickups and minivans from rain that fell for hours after the hail stopped. 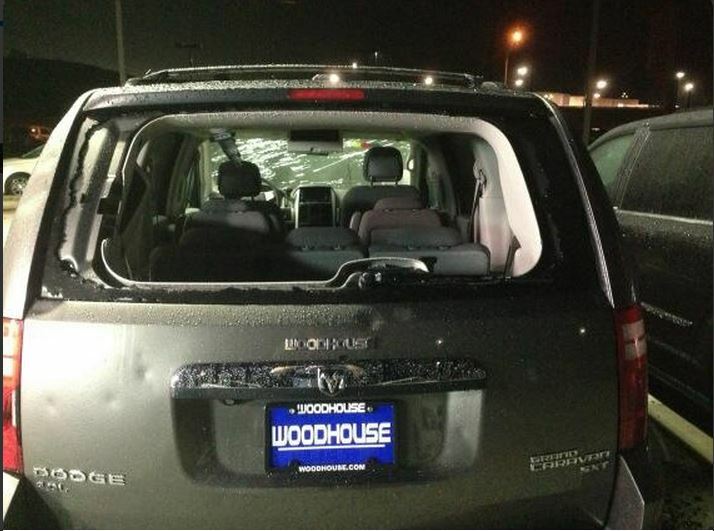 Woodhouse CFO Paul Cech tells CNN the damage is substantial, but the situation is not over. "Today was a tough day, but tomorrow will be worse." On Wednesday, the dealership will begin assessing the damage to their fleet. Although opportunists might take advantage of their misfortune. “We’ll get people all over the country calling us trying to get discount prices," Cech says. 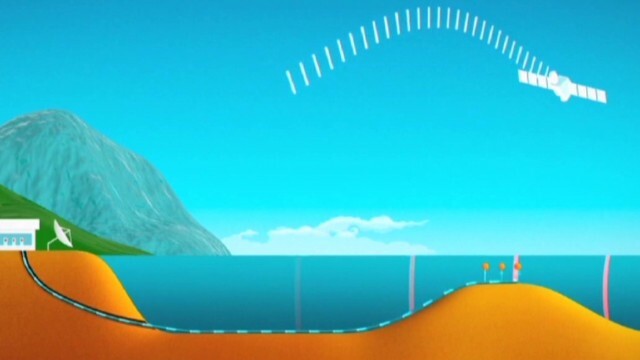 Is Mystery Underwater Sound the Crash of Flight 370? Australian researchers released an audio recording Wednesday of an underwater sound that they say could possibly be related to the final moments of missing Malaysia Airlines Flight 370. It's a long shot, but researchers at Curtin University near Perth, Australia, have been studying records from underwater listening devices, including those meant to monitor for signs of underwater nuclear explosions, in an effort to help find the missing plane. "One signal has been detected on several receivers that could be related to the crash," said Alec Duncan with the university's Centre for Marine Science and Technology (CMST). Researchers have been analyzing the very low frequency sound for weeks to see if it was "the impact of the aircraft on the water or the implosion of parts of the aircraft as it sank," Duncan said. "But (the source of the noise) is just as likely to be a natural event."